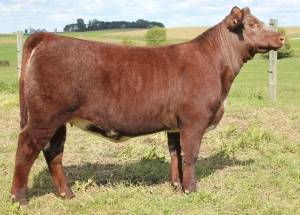 Sired by Jake’s Prince of Jazz and his dam is sired by the calving ease bull, KL Prime Time Paymaster. 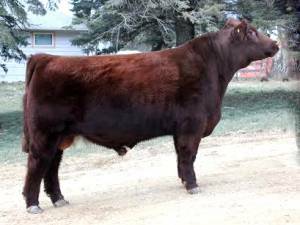 Here is the great breeding bull this breed has been waiting for: extreme low birth weight, bet the farm calving ease, solid red, smooth polled, extremely deep bodied, complete outcross pedigree, great performance, super scan data, just enough eye appeal. Grand Champion bull at the 2013 MN State Fair PACE show as a calf. TH and PHA free and Tested DS Free! 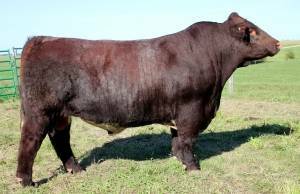 IMF: 5.91% - 145 Ratio - The highest IMF of any Shorthorn bull turned in to the ASA.